These leading ladies are ready to bring action, romance, and drama into our lives. For us, March is all about empowering women, women supporting other women, and, of course, films ABOUT women! 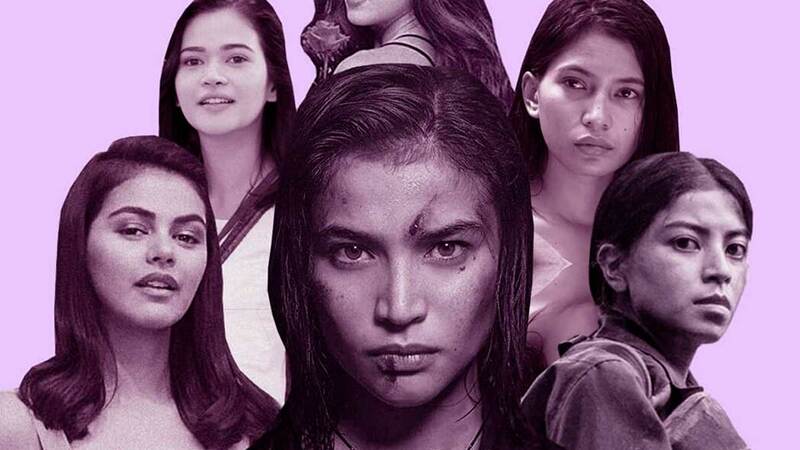 It warms our hearts that female characters are front and center in independent theater Cinema '76 Film Society (with branches in San Juan City and Anonas, Quezon City). The micro-cinema, whose founders are also the people behind TBA Studios, is showing month-long films about women this 2019! Leading Lady: Bela Padilla as "Stella"
Shy and awkward Fidel (JC Santos) is in love with cool girl Stella, but he can't seem to actually blurt it out. He uses poems to express how he feels, aiming for a hundred of them to prove his love. Leading Lady/Man: Martin Del Rosario as "Barbs"
After her best friend Trisha (Paolo Ballesteros) dies, Barbs starts a new life as a straight man named Bobby, which leads her to Trisha's ex-boyfriend Michaelangelo, to her own ex-boyfriend Greg, and to a woman claiming that she's pregnant with Barbs' child. Leading Lady: Anne Curtis as "Nina"
Nina, a woman haunted by her past and who struggles to become a team player, is part of a group assigned to undergo an anti-drug “buy bust” operation to capture elusive drug lord Biggie Chen. Leading Lady: Janine Gutierrez as "Elise"
Bert (Enchong Dee) meets his *first love* Elise once again, and he's obviously still not over her! Leading Lady: Glaiza De Castro as "Commander Liway"
A film based on true events, Liway tells the story of Cecilia Flores-Oebanda aka "Commander Liway," who led anti-Marcos troops during the waning days of the dictatorship. Leading Lady: Sarah Geronimo as "Fely"
An elderly woman finds a second chance at youth after a visit to a mysterious photo studio. This film will give you major 17 Again feels! Leading Ladies: Laila Ulao as "Satra"
Satra is a grieving widow caught in an escalating blood feud which stretches back generations. She secretly meets up with the matriarch of the rival clan to seek possible reconciliation.